New Delhi: The Income Tax Department on Wednesday warned people to “keep away” from benami transactions, cautioning that violations under the newly enacted law invites criminal prosecution and rigorous imprisonment up to seven years. The department put out its alert in a public advertisement published in leading national dailies. Titled “Keep Away from Benami Transactions”, it described black money as a “crime against humanity” and urged “conscientious citizens to help the government in eradicating it”. “Benamidar (in whose name benami proper is standing), beneficiary (who actually paid consideration) and persons who abet and induce benami transactions are prosecutable and may face rigorous imprisonment up to 7 years besides being liable to pay fine up to 25 per cent of fair market value of benami property,” the I-T advertisement said. The tax department attached benami assets worth Rs. 1,833 crore across the country, issued 517 notices and made 541 attachments, from November 1, 2016 to October 2017. The department started initiating action under the new Benami Transactions (Prohibition) Amendment Act, 2016 from November 1, 2016. The advertisement added that “persons who furnish false information to authorities under Prohibition of Benami Property Transactions Act, 2016, are prosecutable and may be imprisoned up to 5 years besides being liable to pay fine up to 10 per cent of fair market value of benami property”. It added that benami property “may be attached and confiscated by the government” and that this action will be in in addition to prosecution under the Income Tax Act of 1961 for tax evasion charges. 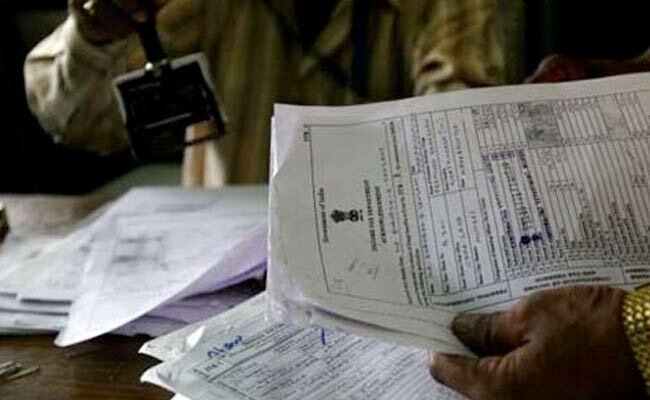 The Income Tax Department is the nodal department to enforce the Benami Act in the country.